Food trucks are all the rage right now with many vendors content to rock some old FedEx style cube van but for those who need a true attention getter I give you this B-Model complete with wood fired brick pizza oven. I believe that pizza is the superior from of food and I’ll eat it in nearly any style, shape, or concept. And I mean that. I’m even down with pizza in Bagel Bites form. I do not discriminate. I have to admit that eating wood fired pizza from the back of Mack truck, thus combining two of my favorite things, never crossed my mind and for that I am slightly ashamed. Open Hearth Pizza would be vendor of choice if I lived in Vermont mostly because of this truck. I bet it makes the pizza taste better. Thanks to Hugh for sending this cool rig along! 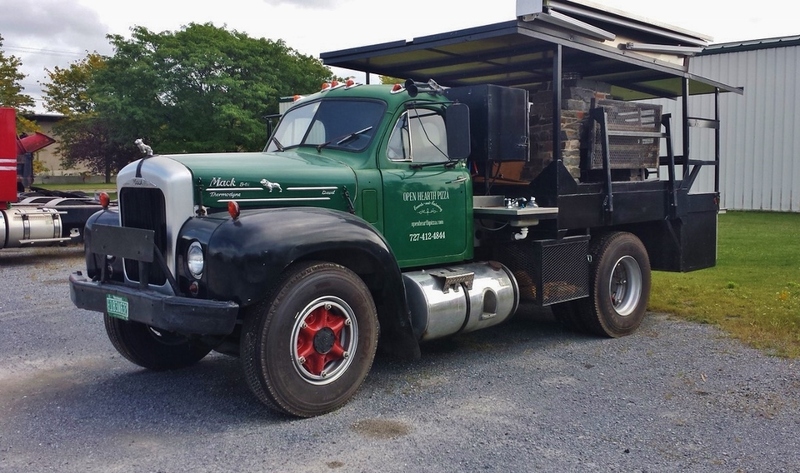 This entry was posted in Still Working and tagged b-model mack, wood fired pizza. Bookmark the permalink.